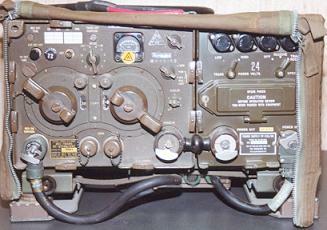 Theo's Radio Room > see "Wehrmacht"
!!! Did you find any dead links ? Pse contact me by e-mail !!! The VRC-9 (RT-67 + PP-109 or PP-112 on mounting MT-299 GR) and the TM 11-286 describing this set.